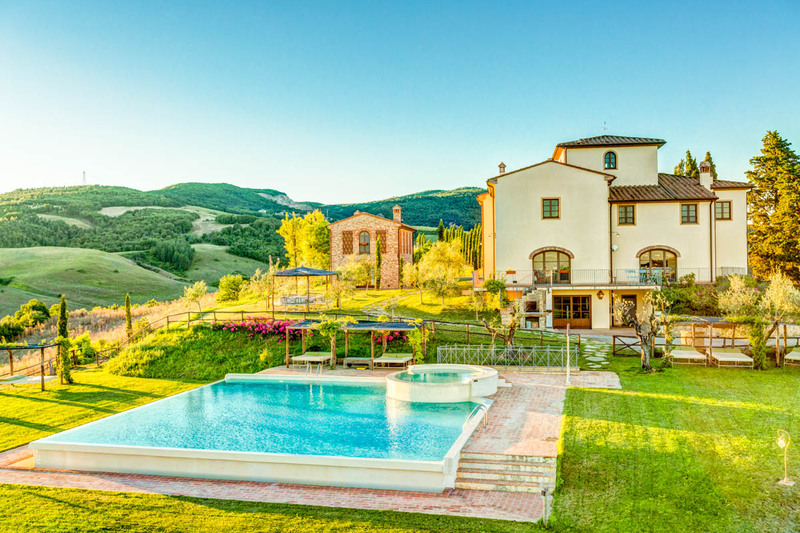 Perched upon a small hill in the endlessly undulating terrain of rural Tuscany, Villa dei Cedri offers luxury accommodation for 12 guests in this breathtakingly scenic landscape. 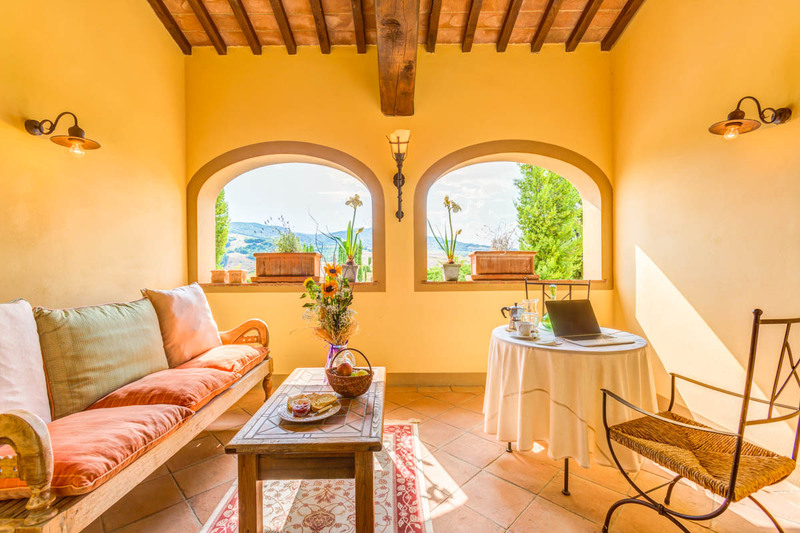 A traditional country home, restored with passion and care, this villa is a truly unique holiday place. 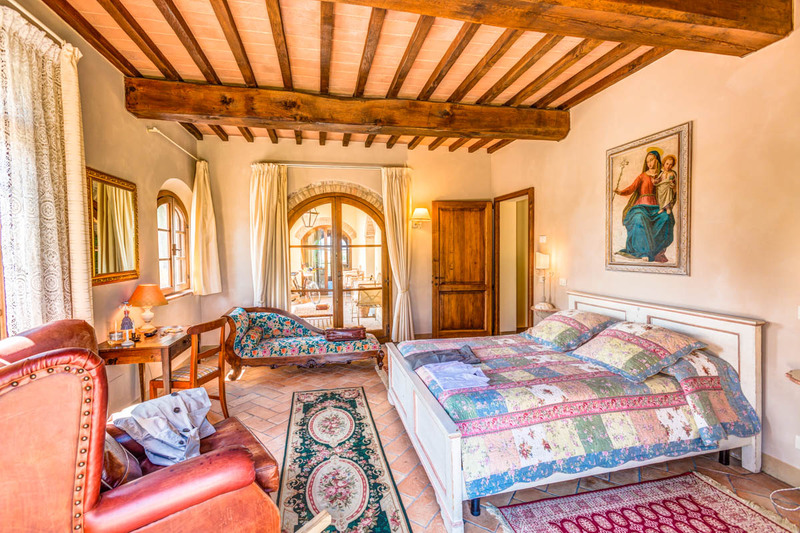 On the ground floor, there is a large lounge and kitchen and a dining area, with each elegant room containing a variety of beautiful furniture crafted by local artisans and demonstrating the meticulous attention to detail of the restoration. 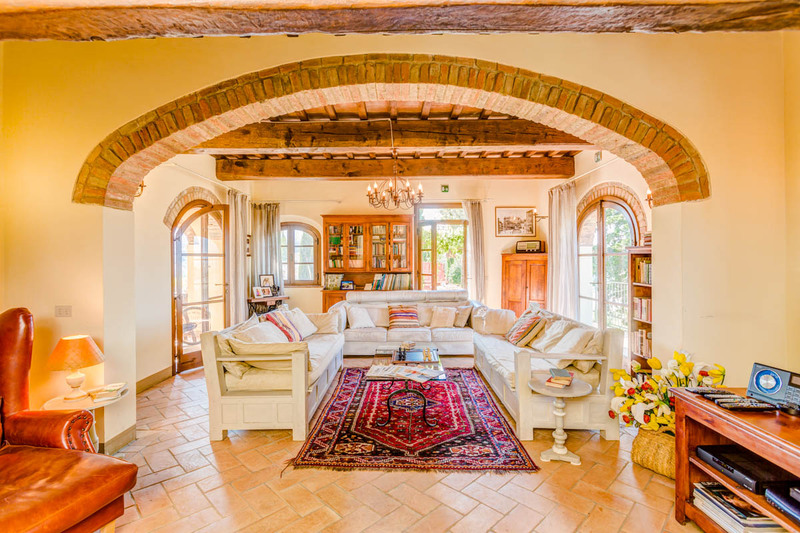 The living room is the pure heart of the home, with endless space for everyone to gather together in comfort and class, while the kitchen is the perfect place for some quality time trying your hand at preparing the local cuisine! 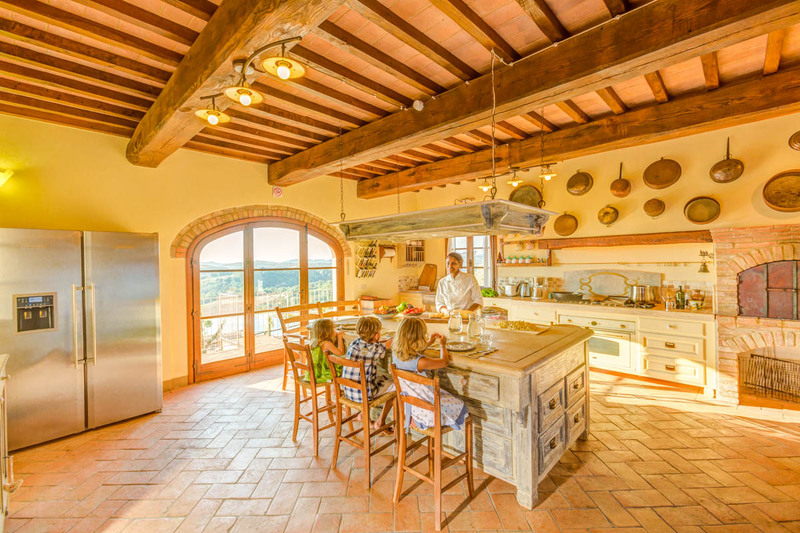 You are free to select your favourite bottle from the wine cellar each day and if you’d rather not cook, our onsite chef will be happy to offer you an authentic taste of authentic Tuscan gastronomy. On the ground floor, there is the first of the six bedrooms, with a double bed, an en-suite bathroom and a fully wheelchair-accessible bathroom separately. 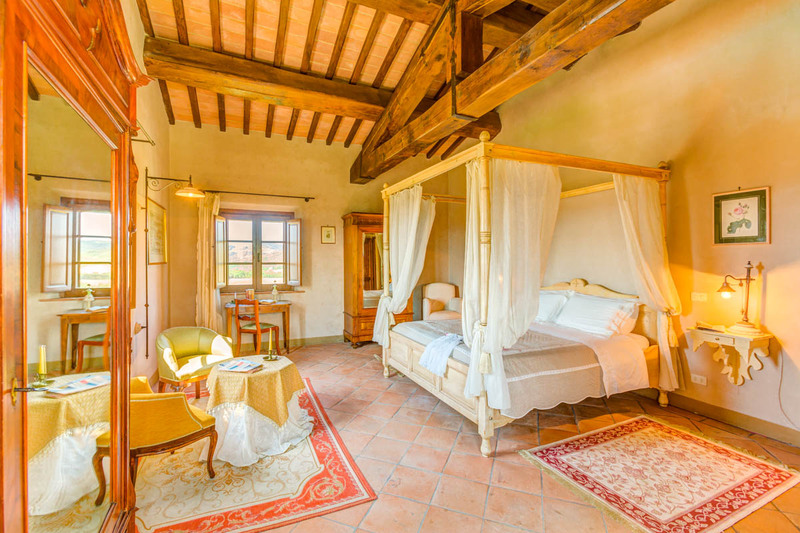 Four more doubles and one twin are located on the first floor, where they are lovingly decorated and equipped with all kinds of delicate and pleasing materials, carefully selected and carved by the skillful hands of local craftsmen to ensure total style, elegance and comfort. 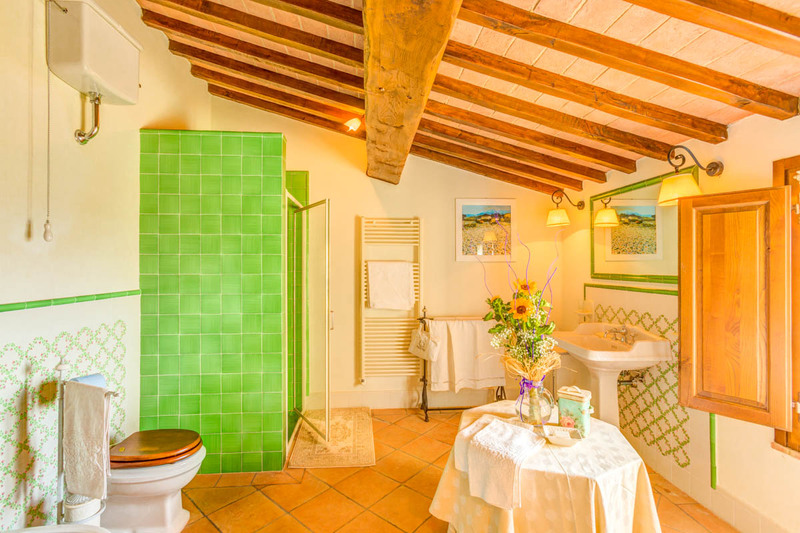 Each bedroom has an accompanying bathroom, with complimentary toiletries and a hairdryer in each and typical mosaic décor to complement the beautiful fittings. The extensive, fenced grounds offer panoramic views over the delightful natural surroundings and an unparalleled list of facilities! For the kids (and big kids!) there is a ping pong table, small football pitch, play area and variety of children’s games, as well as a gym, with an optional personal trainer, where you can blow off a little steam! 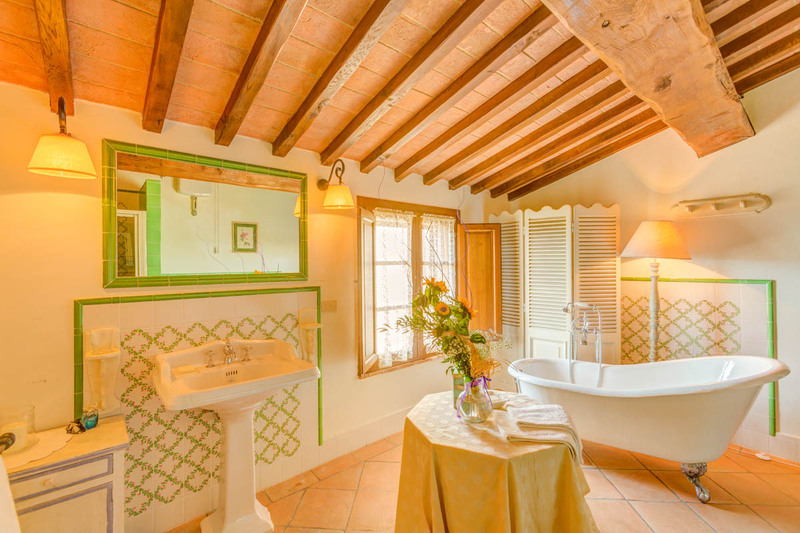 In the majestic private swimming pool, you will find a whirlpool bath, ideal for children and enjoying a little hydro-massage as you admire the view! 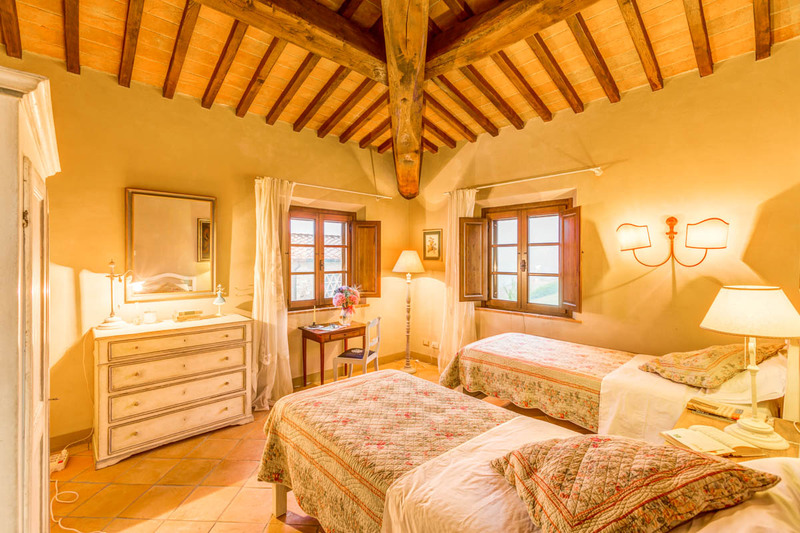 For a quiet few hours, stroll among the vegetable garden, chicken coop and your private fishing lake, and in the afternoon get the wood-burning oven and the barbeque going! With a furnished gazebo for alfresco meals, you can enjoy dining in the fresh air to your heart’s content! 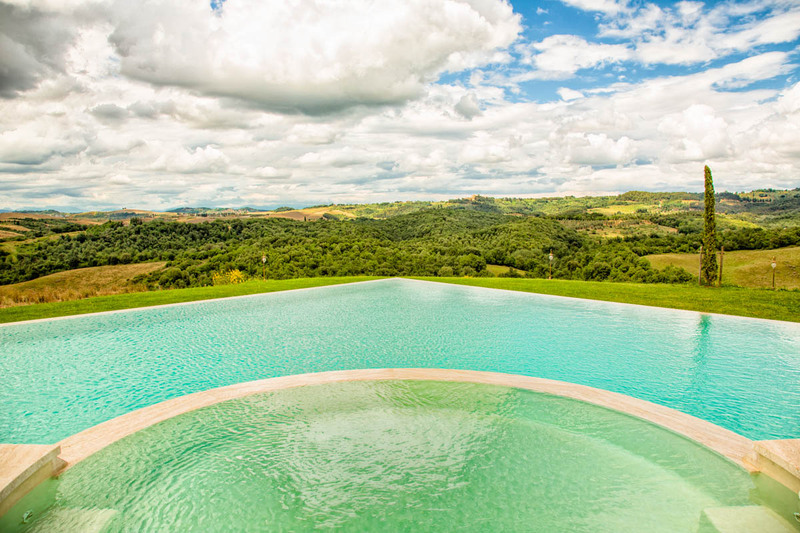 The beautifully remote location offers guests the utmost privacy, as well as a thoroughly tranquil atmosphere. 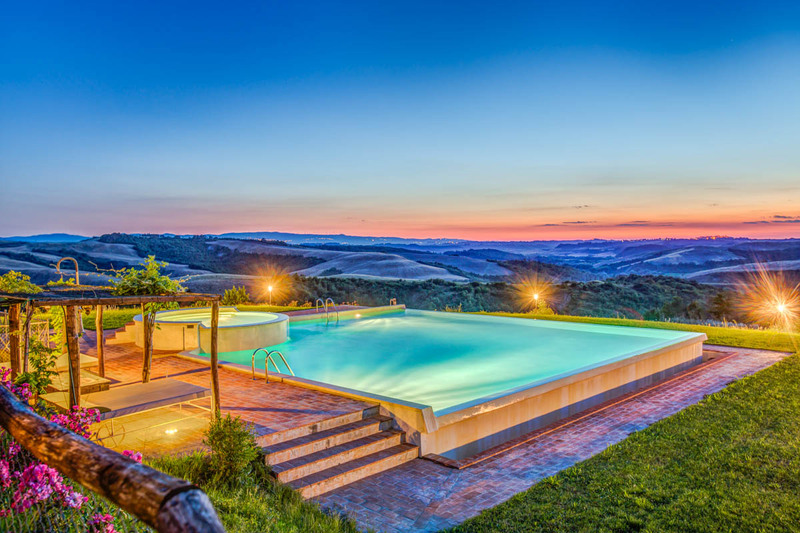 It is of course not surprising that many have chosen Villa dei Cedri as their wedding destination, with the views and facilities of a truly luxurious home. 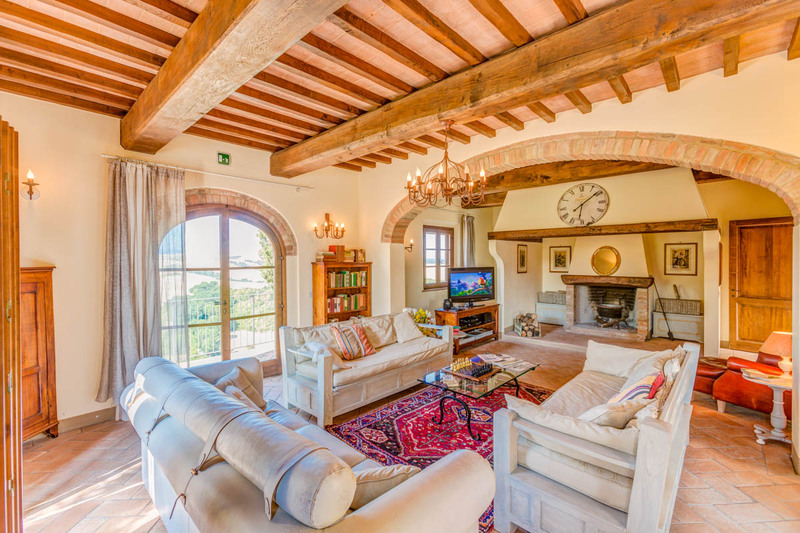 The nearby towns and cities offer guests a little of everything, with UNESCO World Heritage Sites, world-famous vineyards and endless active pursuits all on your doorstep! 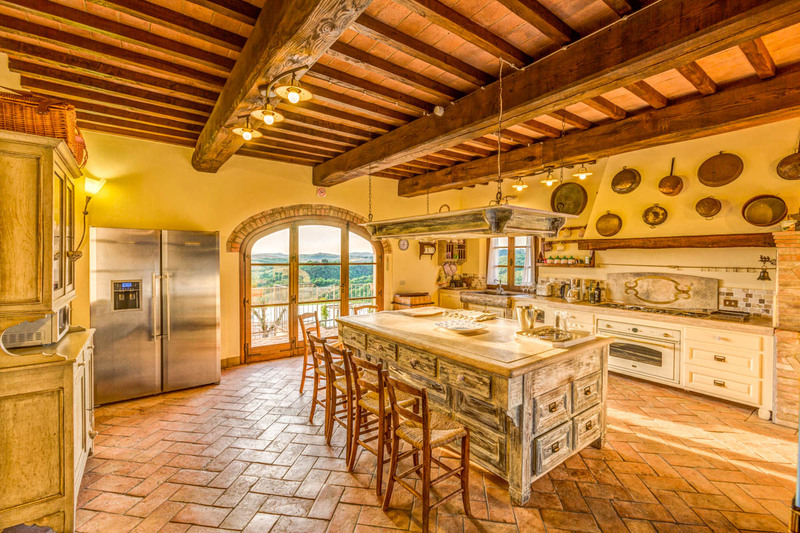 Nestled among picturesque medieval villages in the tranquil and undisturbed natural environment and extraordinary landscapes of Volterra, Villa dei Cedri is the perfect villa for any food, wine or nature-lover. While you will feel utterly isolated and at one with the natural world, in fact, the closest town of Iona is within a 5-minute drive. 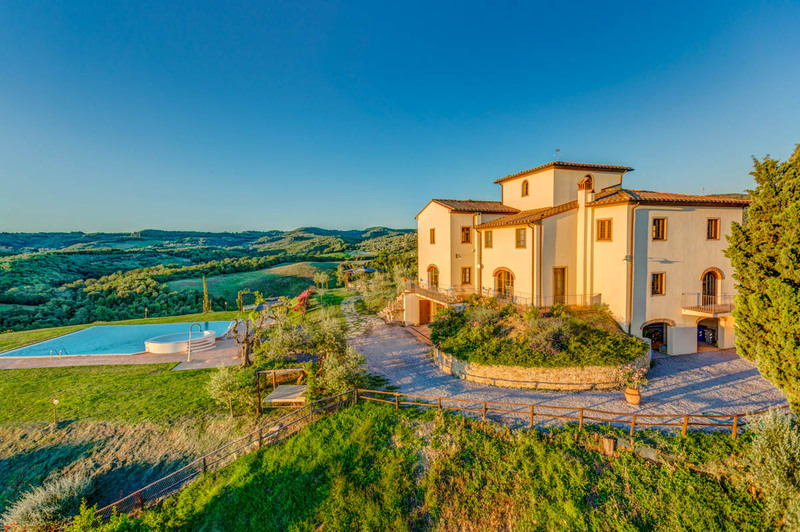 The home is just 3 miles from both tennis and golf facilities, with Castelfalfi club, the most extensive course in the whole of Tuscany, within sight of the villa! 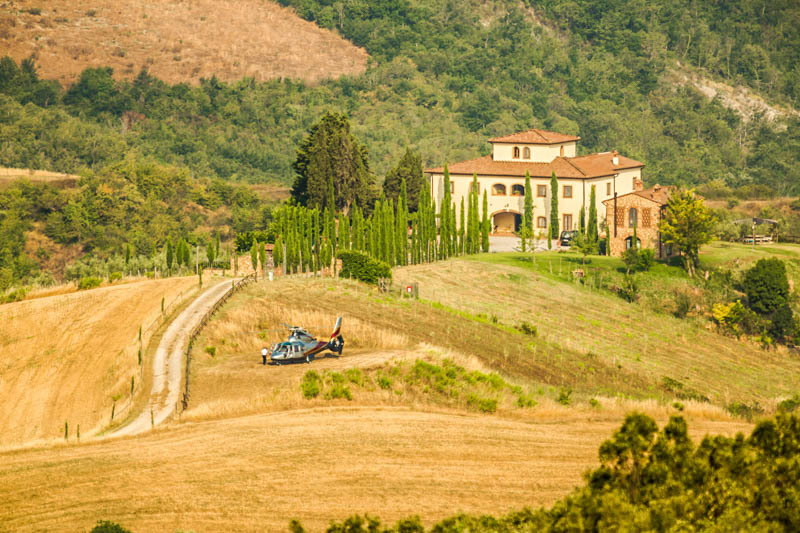 So, whether you’re aiming to be professional or are yet to try your hand at this thoroughly relaxing sport, as an exclusive guest of the club, now is the perfect opportunity to indulge, in the luscious surroundings of vineyards and cypress trees, where you may even encounter a little of the local wildlife, including pheasants and hares! 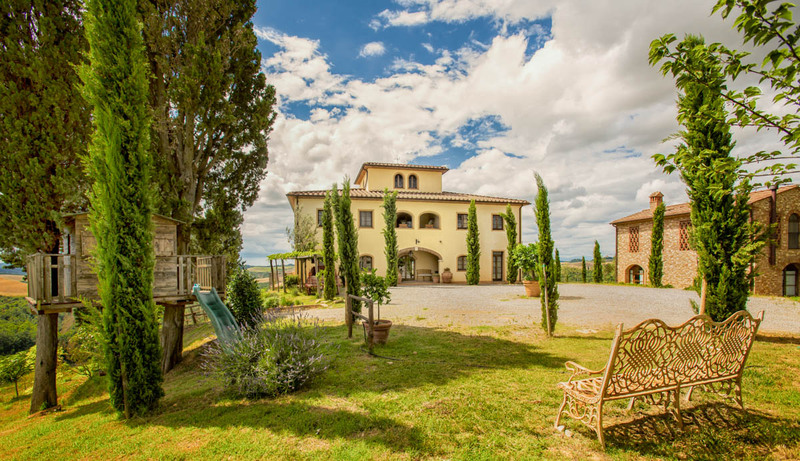 This incredible villa is ideally located to both visit the famous art cities, with Siena, a UNESCO World Heritage site, about an hour’s drive away, or Florence a little further afield, ideal for a day trip, and for enjoying the tranquil calm of the Tuscan countryside. 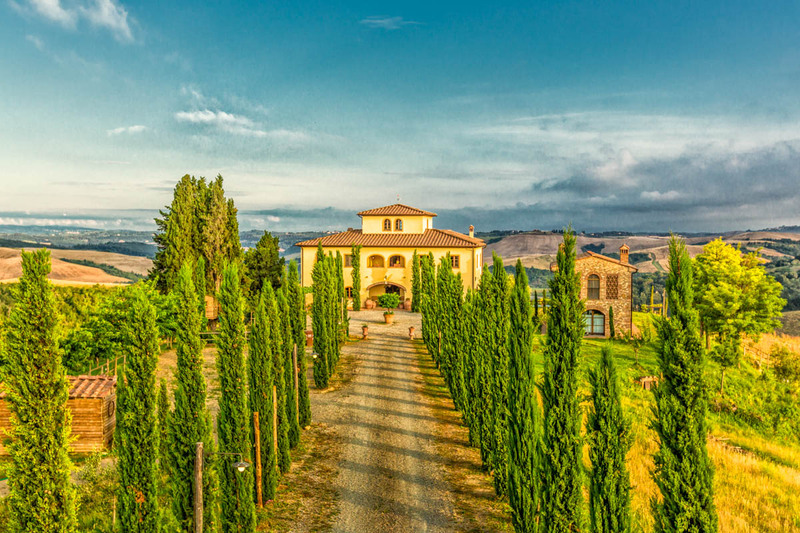 In the area, you will find plenty of opportunities for wine tasting, as a world-famous wine (and olive oil!) producing region, celebrated by Verdi, Michelangelo and many others. 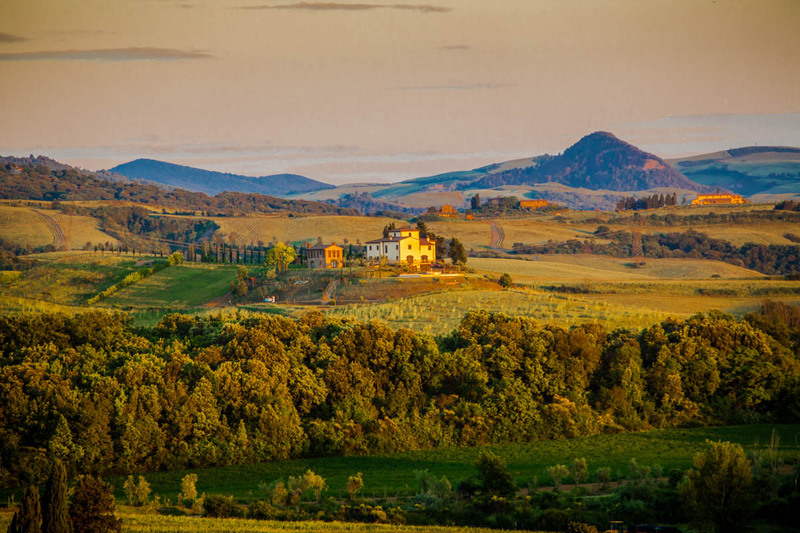 Within 12 miles are both Montaione and San Gimignano towns, and it is less than 50 miles to Lucca, Pisa, Florence and Siena! On-site, you will also find a little fishing lake, great for a peaceful few hours at one with nature, and by arrangement, in nearby Marina di Cecina, you can take a fantastic morning out, experiencing authentic sea fishing! Just 15 miles away you will also find the possibility to go horseback riding.